If you spend most of your time out in the garden or trekking in the wild, you might be quite familiar with poison ivy. Any direct or indirect contact with the oily resin secreted by this plant can cause rashes that may take weeks to heal completely. Here are some of the best and most effective natural remedies that can help you get rid of poison ivy rash overnight. Read on! Poison ivy is a climbing plant that secretes an irritant oil from its leaves. Allergic reaction to this irritant oily resin (called urushiol) results in rashes. A rash that results from contact with poison ivy often looks like a straight line because of the way it brushed against your skin. The severity of the rash depends on how much urushiol you have managed to get on your skin. The factors that can cause or increase your risk of developing a poison ivy rash are as discussed below. Once your skin is exposed to urushiol, it can result in the following signs and symptoms. In addition to this, you may also face difficulty in breathing if you inhale the smoke from burning poison ivy. A poison ivy rash can be difficult to get rid of, and it might also spread to other parts of your body if you don’t manage to get its resin off you soon. To prevent it from spreading further and treat the existing rashes, we have come up with a list of the best home remedies, which can be of great help. 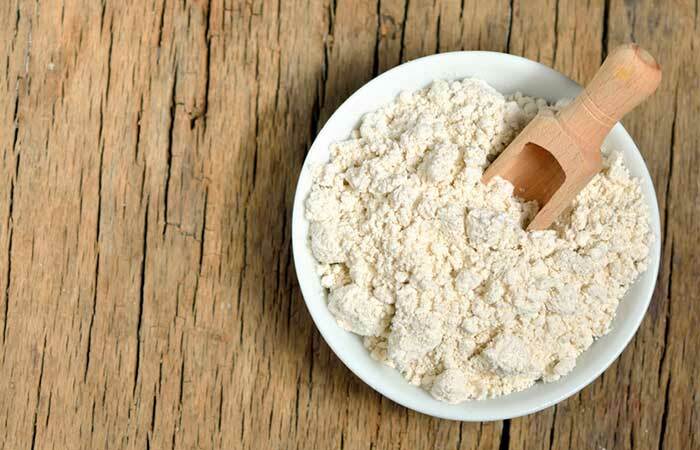 Add a cup of powdered oatmeal to a tub filled with water. Soak in the water for 20 to 30 minutes. You can also place some powdered oats in a muslin cloth and replace your loofah with it. Oatmeal possesses antioxidant and anti-inflammatory properties that can help in relieving the itching and inflammation associated with a poison ivy rash almost instantly (1), (2). 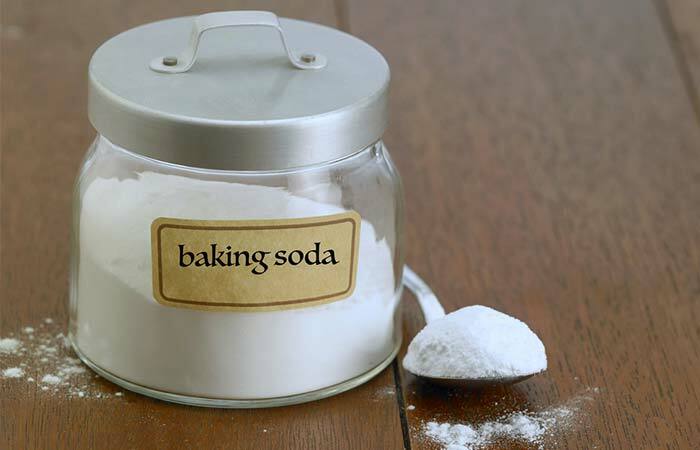 Mix two teaspoons of baking soda with two glasses of water. Soak a few gauze pads in this solution. Place them over the rashes and leave them on for 10 minutes. Remove the gauze pads and wash the remnants off your skin. Do this 3 to 4 times daily for a few days. Baking soda is alkaline and has pH neutralizing properties. It helps restore the pH of your blistered skin and promotes healing of the rashes. The antibacterial properties of baking soda protect the rashes from further infection (3). Add two tablespoons of apple cider vinegar to two glasses of water. Leave them on for 5 to 10 minutes. Remove the gauze pads and wash off any remnants. 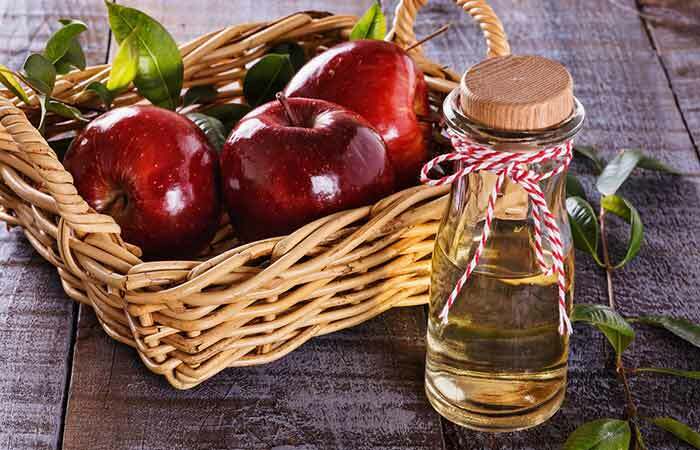 Given its acidic, anti-inflammatory, and antimicrobial properties, ACV is one of the best options for treating a poison ivy rash (4). Add one-fourth cup of bleach to your bathwater and mix well. You can also spray some bleach on the poison ivy plant to kill it. You must do this as soon as you come in contact with poison ivy for best results. 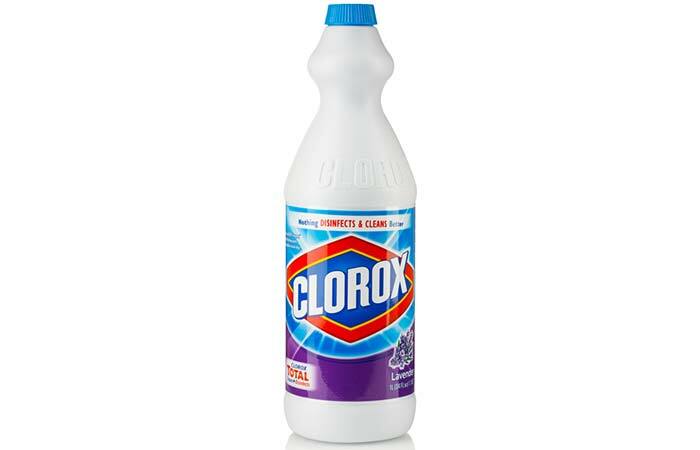 Bleach contains chlorine, a natural disinfectant that tends to dry out your skin. The disinfecting and drying properties of bleach can soothe the itch and speed up the healing of the poison ivy rash (5). If you have sensitive skin, avoid this remedy as it might cause a burning sensation. Crush the stems of the jewelweed plant to form a paste. Apply this paste over the rashes. Allow it to dry and then wash it off with water. You must do this twice daily for a few days. 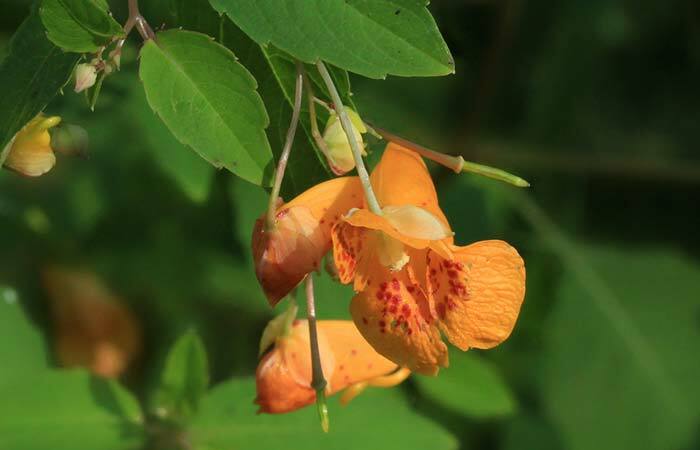 Jewelweed is popularly known as the touch-me-not plant. It contains saponins that help in drying the liquid-filled blisters and soothe the itching and inflammation (6), (7), (8). Rub a banana peel over the affected areas. Leave it on for 10 to 15 minutes before washing it off with water. You can repeat this remedy 2 to 3 times in a day. Banana peels are quite popular for their antimicrobial and anti-inflammatory properties. They help in soothing the itching and inflammation that accompany a poison ivy rash and protect your skin from further infection (9), (10). Take a little toothpaste on your fingers and dab it on the affected areas. Allow it to dry before washing it off with water. You must do this 2 to 3 times daily until there are no traces of the rash. 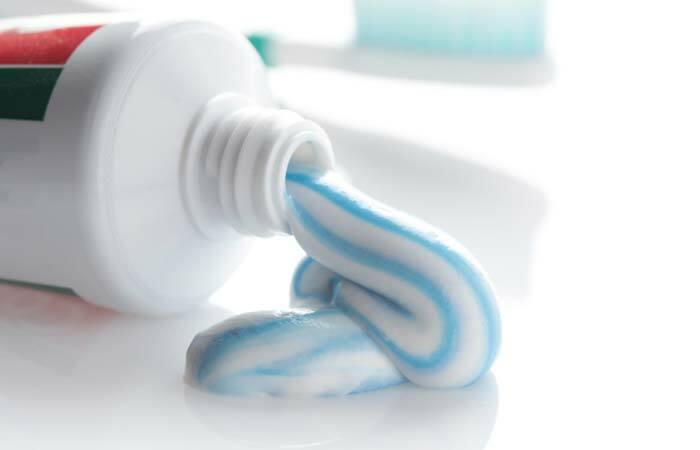 Toothpastes (especially the mint-flavored ones) exhibit exceptional soothing and cooling properties. The glycerin in the toothpaste helps in drying up the rash and speeds up its healing (11). It also reduces inflammation and redness. Add two to three drops of tea tree oil to any carrier oil and mix well. Leave it on for 15 to 20 minutes and then take a bath. You must do this at least once daily for a few days. 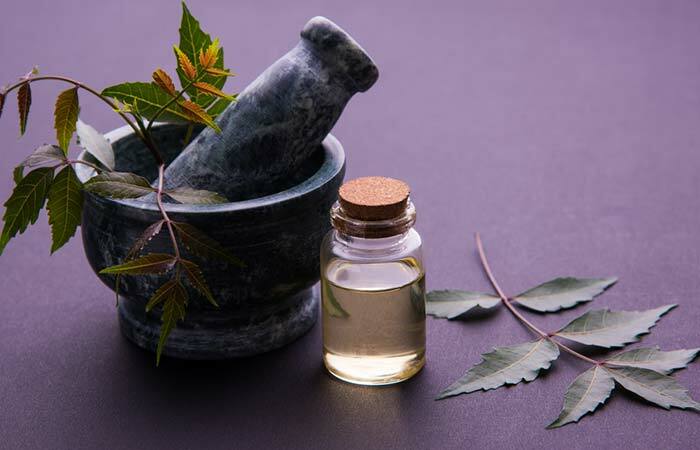 Tea tree oil reduces inflammation and prevents infection in the affected areas due to its anti-inflammatory and antimicrobial properties (12), (13). It also eliminates pain, if any, and promotes faster healing of the rashes. Add three to four drops of tea tree oil to a tablespoon of any carrier oil. Do this twice daily for a week or two. 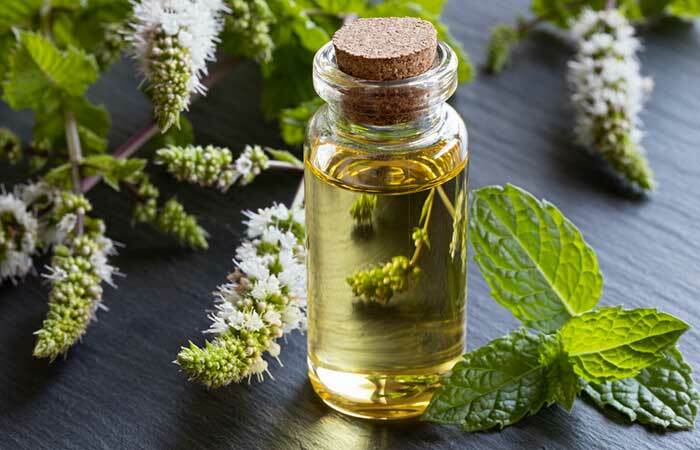 Peppermint oil is one of the best essential oils for treating a poison ivy rash. It contains antioxidants and an active compound called menthol, both of which help in soothing the rash (14). Take a little coconut oil on your fingers and apply it to the rashes. Leave it on and let it be absorbed by your skin. You must apply coconut oil 2 to 3 times daily for a few days. 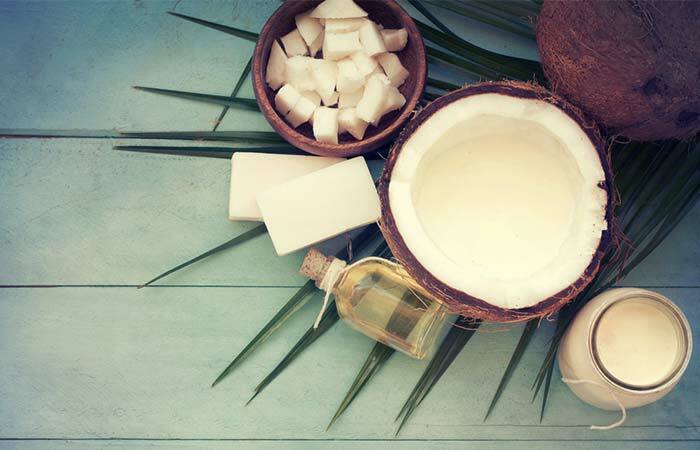 The anti-inflammatory, analgesic, and antifungal properties of coconut oil soothe and relieve the itching and the pain and also speed up your recovery (15), (16), (17). Add a cup of Epsom salt to your bath. You must do this once daily for a week or two. 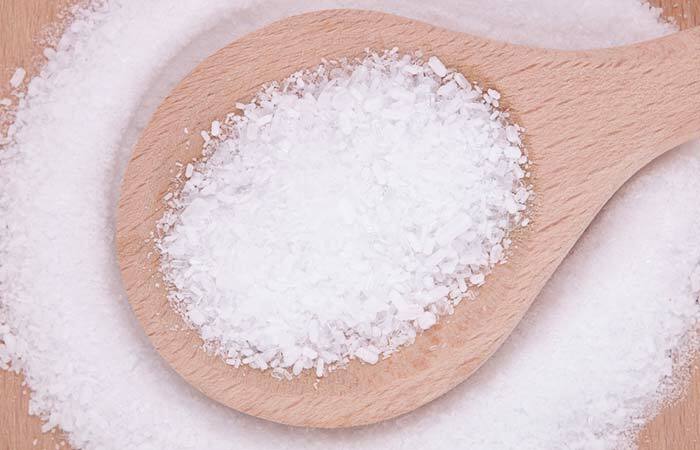 Epsom salt contains magnesium, which imparts anti-inflammatory properties to it (18). This magnesium is absorbed by the skin, which reduces inflammation and promotes healing (19). Apply a little aloe vera gel to the affected areas. Allow it to dry and reapply as required. Apply aloe gel multiple times a day for a few days. 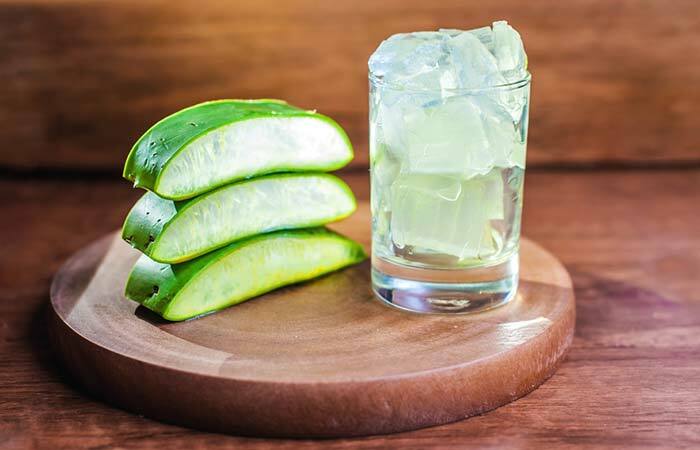 Aloe vera contains active compounds that have healing, soothing, antifungal, and anti-inflammatory properties, which can treat a poison ivy rash (20), (21), (22). Mix a teaspoon of lemon juice with any carrier oil. Apply this to the rash. You can do this once every alternate day for a week or two. 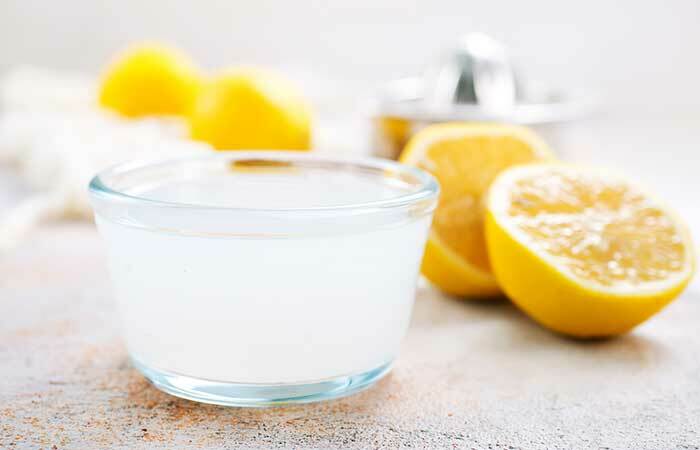 The acidic nature of lemon juice can help neutralize the pH of your blistered skin, thereby helping it to dry faster. Lemon is also a rich source of vitamin C, which has anti-inflammatory properties and can help in reducing the itching, inflammation, and swelling (23). If you have sensitive skin, mix neem oil with a carrier oil of your choice before applying it. You must do this 1 to 2 times daily for a week. 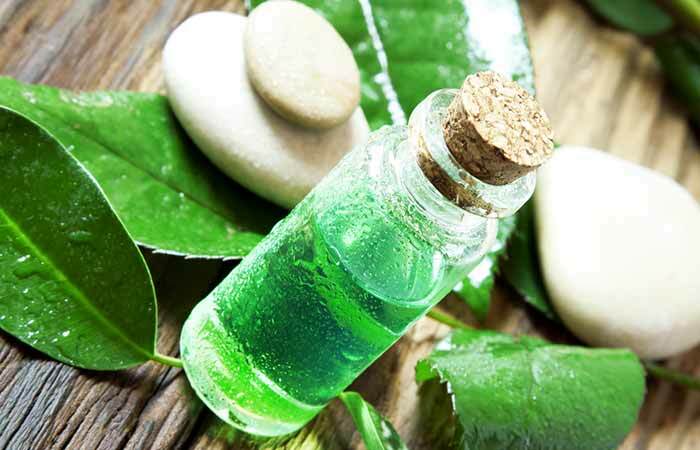 Neem oil is another option that you can consider for getting rid of a poison ivy rash at the earliest. Its anti-inflammatory properties help in relieving the itching, inflammation, and redness (24). Neem oil also possesses antiseptic properties that protect the rash from infection. A poison ivy rash usually lasts for two to three weeks. But with proper treatment, it can disappear sooner. You can also take the following precautionary measures to prevent the recurrence of such rashes. Learn to identify poisonous plants and steer clear of them. Wear protective clothing if you are in surroundings that increase your risk of developing a poison ivy rash. Remove or destroy any such plants that you come across. However, do not burn them. Wash your hands, your pet and any other object that may have come in contact with poison ivy within 30 minutes of exposure to reduce the intensity of the rash. Apply a barrier cream whenever there is a risk of coming in contact with poison ivy. It is important to wear protective clothing and take basic precautions if you spend most of your time trekking or working outside. This not only helps you avoid irritants like poison ivy but also protects you from pests and other insects in the wild. Be cautious of your surroundings whenever you are out in the open. And if you have unfortunately developed a poison ivy rash, any of the above remedies will help. How long does it take for a poison ivy rash to go away? The resin from poison ivy can enter your skin within 5 to 10 minutes of contact. However, it may take anywhere between 4 hours to 2 weeks for the rashes to appear. 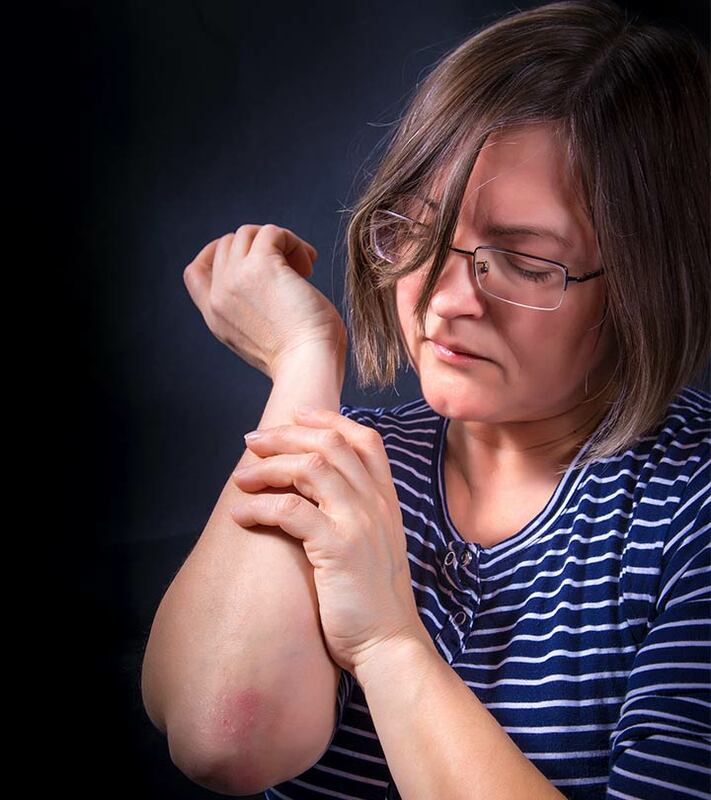 These rashes usually last for a week or two, but in severe cases, they can last for 30 days or longer. 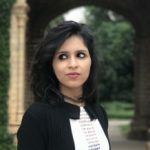 Does poison ivy rash spread from person to person? Poison ivy rash isn’t contagious, and the blisters that appear as a result of contact with it do not contain urushiol. Hence, they do not spread from person to person. However, if you come in contact with its oil irritant resin directly or via other objects, you can develop a poison ivy rash. Will it hurt if I put rubbing alcohol on a poison ivy rash? Rubbing alcohol might cause a slight tingling sensation but helps the rash heal faster by drying it out.